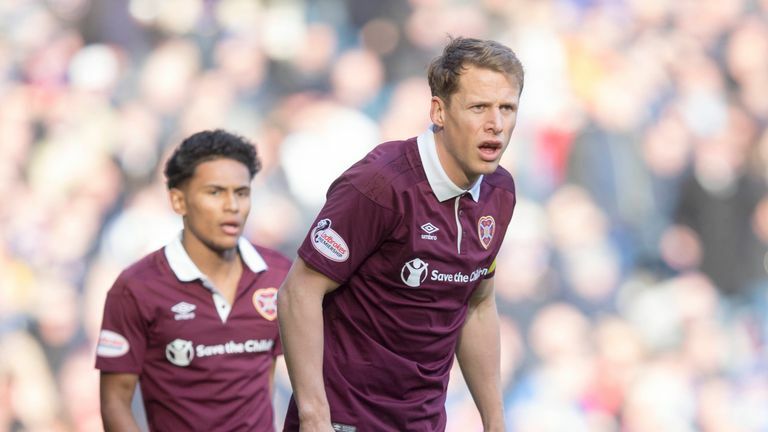 Hearts manager Craig Levein says captain Christophe Berra could be fit for the visit of Rangers on Sunday afternoon. Berra played his first match in four months, since tearing his hamstring against Celtic in August on Wednesday night. The 33-year-old played the first 45 minutes in a friendly against Linlithgow Rose which marked the opening of the East of Scotland League club's new floodlights. Levein said: "He's fine. The weather was horrendous on Wednesday and the pitch was quite heavy but he got through it without problem. "He's such an important player for us. We have missed him and I would not like to prolong that injury by playing him when he is not ready but he felt good after the game. "He's very diligent in what he does. In training and in his rehab. He's maybe a couple of weeks ahead of schedule. "His presence should boost the confidence of other players and fire a warning shot to the opposition."